It’s facelift o’clock for Fiat’s crossover! The new 2017 Fiat 500L has been revealed and those who like a good game of Spot the Difference will be in luck. Fiat claims that 40% of the 500L’s components are new and three different versions will go on sale later this year: Urban, Cross and Wagon. The 500L still looks like a 500 that’s eaten one too many pies and features the city car’s halo-ring daytime running lights and ‘moustache-with-grille’ face. What’s the difference between the 500L’s versions? 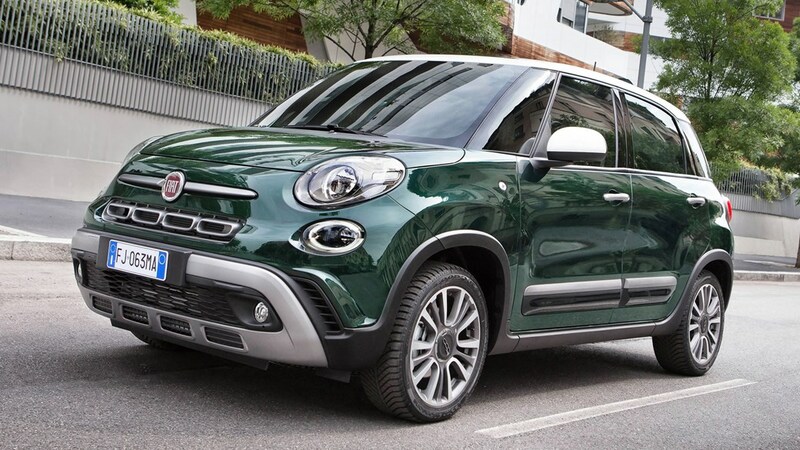 The Urban ‘epitomises stylish metropolitan motoring’, apparently, and looks the most like what we consider to be a regular 500L. There’s the usual chunky body styling, big alloy wheels and lots of chrome. Cross variants are the rough-and-ready 500L models, so there’s chunkier body cladding on the bumpers and a face reminiscent of a boxer with a mouth guard in. There’s a slightly raised ride height and the Cross model comes with diamond-cut 17-inch alloy wheels. Then there’s the Wagon, which has more junk in its trunk than Beyonce dancing to Single Ladies. 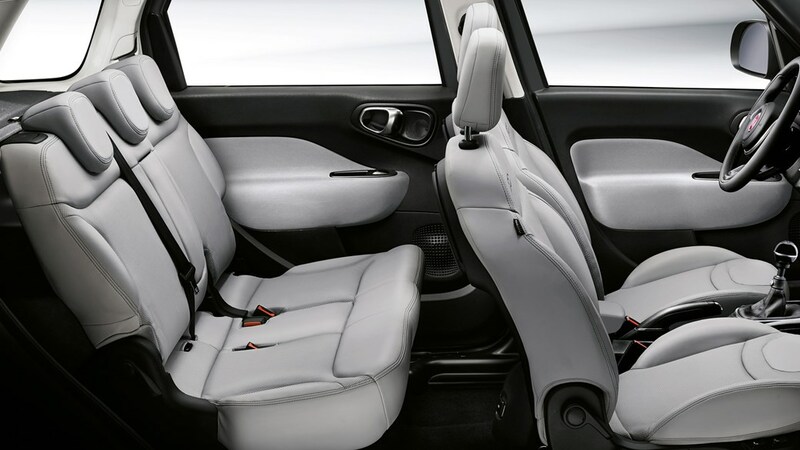 It’s available as a five- or seven-seat car and is 100mm longer than the Cross version to account for the extra space. 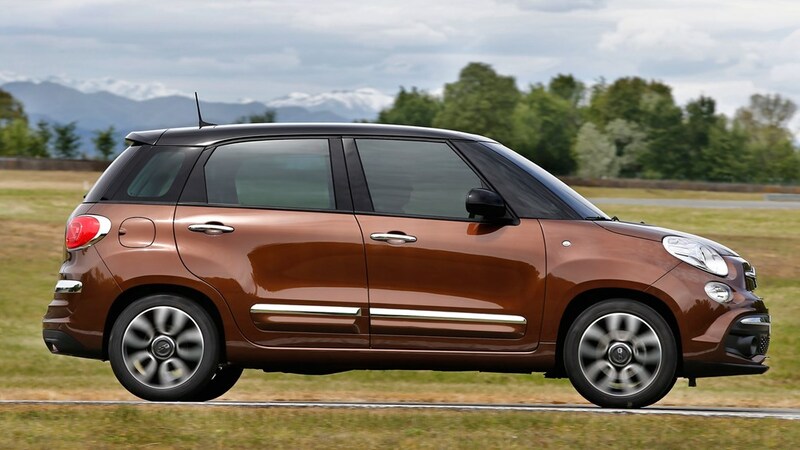 What’s new about the Fiat 500L? Fiat’s Uconnect infotainment system has had a thorough going over and is now available with Apple CarPlay and Android Auto, and you can upgrade the infotainment to include Beats Audio speakers. There’s a whole host of customisation packs which alter the style of your 500L, plus a huge swathe of Mopar accessories including bike raks, surf board racks and protective bumpers.